I'm not sure how to ask this. Essentially; I work for a survey company doing gas lines GIS. We use QGIS. We create hand drawn sketches of pipelines containing all sorts of information including: materials used, skew numbers of equipment installed, exact location from a datum ( 0 point), etc. what we would like to do is use QGIS to replace the hand drawn portion of the job. Basically, create, in the GIS program, the drawing, have symbology present each pipe/material location and be able to select that location and have a dialog box populate with the location attributes: skew numbers, material used in that exact local. Are there any plugins for this? Does anyone have any idea where I could start with this project? Thanks. Route calibration: Helps you to set measures along routes and interpolate between missing values. It is the initial step for performing other operations on routes. Locate: For you to get coordinates on the line for a given measure, e.g., you want to locate the Km6+350 on the route. Create events: Allows you to load tables with information of features along the route. Point events: You could load a non-geometry table (e.g., a dbf table) with rows representing points on the route with given chainage (measure), id, type, and the like. Linear events: You could load a non-geometry table (e.g., a dbf table) with rows representing segments along the route (think about pipelines with different diameters) with given start measure, end measure, id, type, and the like. I think this plugin is certainly appropriate to use cases such as yours. Not the answer you're looking for? Browse other questions tagged qgis qgis-plugins linear-referencing or ask your own question. 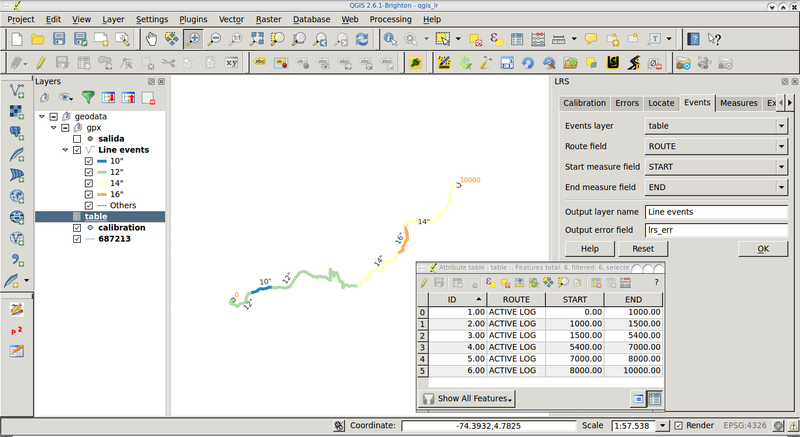 How to use the QGIS Linear Referencing Plugin? 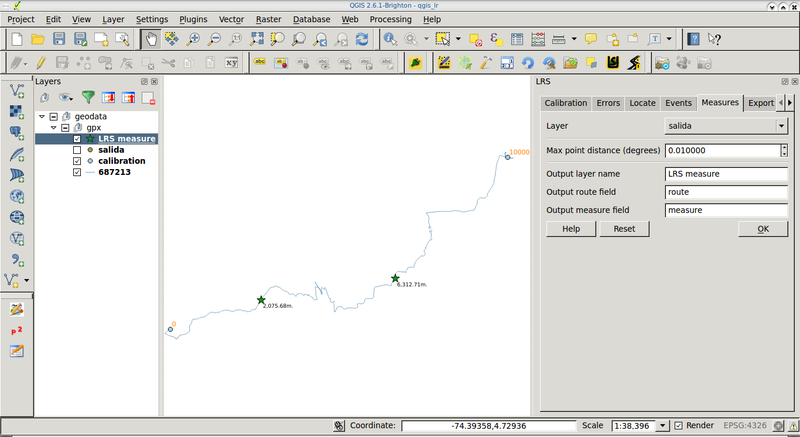 How to measure an irregular road line in QGIS? Linear Referencing using ArcGIS Desktop? Registering “events” for linear referencing in pyqgis?